When reading your emails it is easy to be fooled. If you get an email telling you your site is about to expire, or your SEO is expiring, and you have to “act now” or you will lose your domain etc, it is probably just a scam. Never click on a link in an email that is asking you to login to your account. If you get something from PayPal (or any website which might have protected information) that requests you to click to login it is best practice to go to the address bar on your browser and type in the domain name (e.g. PayPal.com). Never click on a link from within an email and type in your login information as it is probably a trick to steal your important information. Another common trick is to tell you your email will be removed or deleted if you don’t click the link. Always save your email in a bookmark or on your desktop where you can easily click on a link within your browser. Call your web host or Longs Peak Web Design if you think there may be a problem. They can verify it for you. Anyone can cut a logo from any site and use it to make the email look official. If you get an email from someone you know, but you don’t know why they are sending you a link, call them and make sure the link is safe, they will know if they sent it to you or if it was a spammer who stole their email address. Also be careful on facebook, filling out information that might be used as security questions can be a trick to steal your identity. Some of the posts seem like a fun way to get to know someone, but you don’t know who is collecting that information and may use it to steal your account information. If you use the same password or security questions for your bank account, a thief could easily be using that information to steal your identity. It is easy to be fooled, so “Let’s be careful out there”. SEO audit on sale now! I have recently acquired knowledge on how to audit the SEO(search engine optimization) of a site. I would like to audit your site and make sure that it is optimized using the latest information and tools available. Please visit my site today and sign up for a website audit. You don’t want to miss this sale. 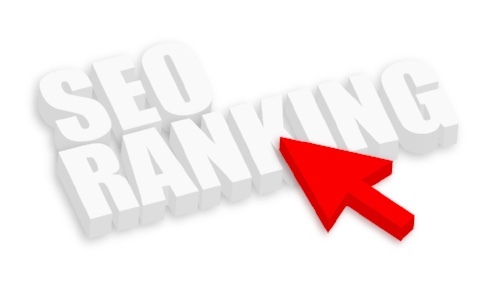 Everyone knows you need to rank high on Google to be found on the internet today. Let me help you update your site (just changing and updating will help Google know your business is still “in business”). Let’s all start the new year off with more business and better ranking. Call Longs Peak Web Design now at 970-689-7790. 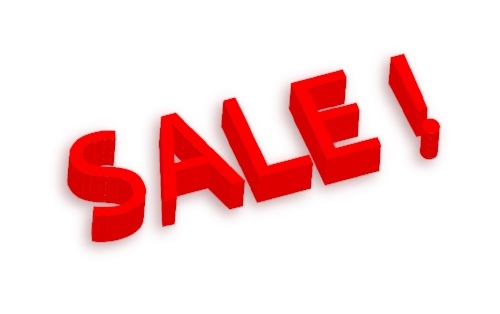 USE COUPON CODE 10offSEO for 10% off of your SEO audit on my website. Kelley Matthews did some research on Pinterest for us and gave a very informative talk about the great benefits of Pinterest for our businesses. – click the on the information for a pdf and the full document. The Niwot Cougars Football Team is holding their annual fundraising Golf Tournament on 8/8. They would love any donation for the raffle, or if you would like to sponsor a hole, you would get your sign posted at the hole. Any promo materials you would like to include would be added to the gift bags handed out to each player. Click the image to get a copy of the registration form. Take a Chair Ladies is proud to support Cameras for Kibera. Here is a recent article that has some good information about pay per click marketing and how it works. Kelley Matthews from KelleyMatthewsDesigns.com shared this article at our meeting today. Take a Chair Ladies is a Professional Women’s group devoted to expanding our businesses through referrals, mutual support and education. Building a website is a challenge for all new and existing businesses. Without one, you will probably not be found by your new or existing customers. An existing customer may need to know your hours of operation, or a phone number, or just some more information about your business. New customers are more likely to look to the web to find a product or service that they require. There they can find reviews and suggestions about your product or service. As of April 21,2015 google is looking for responsive sites on the web. A responsive site will look great on a desktop or laptop, as well as on a mobile device such as a phone or tablet. The responsive website will help you with search engine optimization and make your site viewable to all users. If this is done right, it will have an easy navigation menu with contact information in a prominent spot. People will be able to view any information from your site or give you a call to find out a question they may have. It will also have a moving map for your customers with an internet/gps ready phone. They can use the moving map to locate your business easily. This is a different concept, that is used by businesses to make it easier for their customers. Using a mobile app can make it easier to access your bank account, calculate values for real estate, etc. You can have a mobile app built if you are wanting something specific for your phone that makes it easier for your customer. My personal opinion on the mobile app is that it is great for your bank, or airline or big business that needs something specific for a phone. However, a good responsive design for a business should work well on the phone to get people the information they need about your business if you have a storefront, or if your service or product is something they can purchase through the web. I believe that the less confusion you give your customer or potential customer the better. Everything should be as easy as possible and should be consistent through the web. If your website provides a function, your mobile app should provide that same function, basically in the same way to make it easy for the user if they are on their phone, or on their desktop. The first book I read after I started my business was called “Don’t Make Me Think” I believe this concept of not making your user have to “figure” out what you want them to do is the best way to build a website, and it will allow them to feel comfortable with your ability to provide them the service or product that you have to offer. I have worked with customers and business owners, and people of all abilities. Ease of use is by far the most important feature of your website. Searchability is extremely important as well. Using a wordpress responsive website to build your business will be an excellent stepping stone on your way to a successful business. Please give me a call if you have questions about a new or existing website. Visit my site at www.longspeakweb.com or come visit us at our regular meeting for Take a Chair Ladies and see how we can help each other through education and networking.